On May 27, 2013, the Washington Post’s The Fix ran an article titled A White House Counsel Known for Her Shoes about Kathryn Ruemmler. The article states, “It may say more about Washington than White House counsel Kathryn Ruemmler that she’s known in the West Wing for her fabulous shoes.” It goes on to describe her stylish designer shoes worn in White House meetings. As a woman and a lawyer, I take offense to the article. It did not appear in the style section, although, I would still be offended by it. And oddly enough, it was written by reporter Juliet Eilperin, a woman known for covering politics for many years. The article was a slap in the face to women and particularly to Ruemmler, who has reached the pinnacle of her legal career as White House counsel, to be known for her shoes instead of her legal prowess. The Washington Post should write an apology to Ruemmler and here’s the reason why. The age old question of what do women want is one that has many answers. I for one want women in high profile positions to be discussed in the media for their abilities and intellect and not being known for their shoes, hair style or clothing, as is often the case. What do women want and what was wrong with the article go hand in hand. If the article was written about the Kardashians who are only known for their looks, style and dress, the article might be appropriate. Someone who has reached the top of her legal profession as White House Counsel should not be discussed like she’s one of the Kardashians. It’s not surprising albeit disappointing that the Washington depicts Ruemmler through her shoes. First Lady Michelle Obama recently gave an excellent commencement address to Bowie State University. Her bangs got more media attention when she changed her hair style earlier this year than her words spoken to Bowie’s graduation class. We all know too well the discussion about the media’s obsession with former Secretary of State Hillary Clinton’s dress style and hair styles through the years. As Secretary of State Clinton was appearing before Congress to testify about Benghazi, the media couldn’t help but address her appearance in thick eyeglasses. The media rarely discusses the shoes, hair cut or dress of a male political figure. The one exception may have been John Edwards during his presidential run with the buzz about his $400 haircut. But even then, the focus was not on his hair cut style but on the amount paid for it and possibly with campaign funds. Yet, the media cannot get over its fixation with women in high profile positions and their style, shoes or hair as the case may be. The Women’s Media Center has a campaign called Name it Change it to bring attention to issues of sexism in the media. There were many tweets on Twitter, blogs and other social media outlets that brought attention to the Washington Post faux pas. Now we just need the Washington Post to apologize for the article. That would be a major step in the right direction. Debbie Hines is a Washington, DC based practicing trial attorney, former Maryland prosecutor and member of the Supreme Court bar who is an expert in criminal law, gun laws, death penalty cases and voting laws. She often addresses legal issues at the intersection of gender and race. A motions hearing is set on Tuesday, May 28 in the case of the shooting of Trayvon Martin. Attorney Mark O’ Mara and the Zimmerman defense team disclosed documents on Thursday that they may attempt to admit into evidence showing photos, texts and social media of Trayvon Martin to display his alleged marijuana use, issues with school suspensions and other aspects of his personal life. The defense alleges that they will only attempt to introduce the items if the State attempts to make the case about Trayvon Martin’s character. Excuse me for mentioning but the only side that is attempting to make the case about Trayvon Martin’s character is the defense. And the only way that the defense can add any validity to its self-defense claim other than with the defendant’s testimony is to make Trayvon Martin out to be a bad character. In order for the Zimmerman defense to make out a somewhat credible case of self- defense in the court room before a jury, they must attempt to vilify the victim. The defendant’s own credibility, should he take the stand, was largely destroyed over a year ago following his bail hearing, when it was discovered that his misrepresentations about his pauper financial status, along with his wife’s testimony were flat out lies. He was not someone in dire financial distress as he had led even his own attorneys to believe but someone with online contributions totaling over $100,000. That little scheme caused the defendant to have his bail revoked and later reset at a higher amount. In order for the defense to depict the facts as one of self- defense, they must first overcome the credibility of the defendant, if he takes the stand. And one way around that issue is to portray the victim, Trayvon Martin as a “bad actor”, a pot smoking, school missing, up to no good teenager. The state has not attempted to portray Trayvon Martin as anyone other than a 17 year old walking en route to the home of his father’s girlfriend, carrying a bag of Skittles and an iced tea, wearing a hoodie, when he was spotted by Zimmerman, marked for suspicious activity, pursued and shot to death. This case is about the night of February 26, 2012 and whether George Zimmerman armed with a gun committed second degree murder or had a legal right to shoot Trayvon Martin. It is a circumstantial case on the part of the state. No state’s witness is an eyewitness to the crime. The evidence will mostly consist of experts’ reenacting the crime scene and audio tapes, photographs of the scene, audio tapes, DNA evidence and witnesses who overheard or saw parts of the altercation. There appears to be no value to the case to be learned from school records, social media, texts or personal photographs of the victim before the night of his untimely death, unless the defense wants to confuse the jury or sway them with “red herrings”. In law school, these other items that have no bearing on a case are commonly referred to as “red herrings”, meaning they are much ado about nothing. And sometimes, that’s what a defense team has to work with to get its point across to the jury. In the final analysis on both sides of this case, it must be about the night of February 26, 2012. Whether the defendant is a good person or the victim is made out to be a bad person, all that matters is what happened on that fateful night over a year ago. If the evidence speaks to the events on the night of February 26, then justice will prevail. Judge Debra Nelson, the presiding judge, will hear arguments on some controverted evidence and other matters on Tuesday, May 28. On May 23, the defense filed another request to postpone the trial. The trial is presently scheduled for June 10. Stay tuned for more developments on the case as they occur. Post Script: On Tuesday, May 28, Judge Debra Nelson dealt a blow to the defense team by limiting the use of any photos unrelated to the crime, school suspensions and texts. Judge Nelson denied the defense’s motion to delay the start of the trial. It will start on June 10, as scheduled. She did not grant he gag order requested by the prosecution. 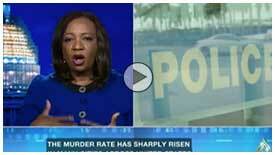 Post Script: Thom Hartmann interviewed Debbie Hines on his radio show on May 29 on the Zimmerman defense and case. The video of the interview follows below. Debbie Hines is a Washington, DC based practicing trial attorney, former Maryland prosecutor and member of the Supreme Court bar who is an expert in criminal law, high profile criminal cases, gun laws, death penalty cases and voting laws. She often addresses legal issues at the intersection of race and crime. A group of unemployed workers are walking from Philadelphia to Washington to demand that the US Chamber of Commerce stop blocking efforts to create green jobs for Americans. Operation Green jobs after walking form May 19 to May 24 will rally on Friday at 10:00 AM at the headquarters of the US Chambers, located at 1615 H Street, NW in Washington, DC. The US Chamber like its Republican Congressional counterparts are fighting against green jobs. The US Chamber receives millions of dollars from oil companies to lobby Congress. Carl Gibson, lead organizer for the walk says, “Like Congress, the U.S. Chamber likes to say they speak for us, but their real interest is in serving the multinational corporations who fund their activities.” According to Jake Parent, coordinator of Public Citizen’s US Chamber Watch project says the U.S. Chamber spent more than $136 million in 2102 to lobby on behalf of giant corporations. In 2008, President Obama campaigned to provide more green energy and technology jobs., promising to create 5 million new green energy jobs in 10 years. According to the Greg Rothwell of the Brookings Institute, “The stimulus bill and Obama administration budgets have certainly increased spending on green activities, and that spending has created jobs.” President Obama’s 2014 budget would increase money for production of green energy, green manufacturing and energy efficiency. Moving beyond green jobs, the Republican controlled Congress has yet to pass any bills for jobs, green or otherwise. Republicans consistently campaigned on creating jobs but no jobs bills have been created by Republicans. The unemployed walkers coming to Washington will share their stories and offer solutions to help created more jobs and a stronger economy. Instead of attacking the EPA, attempting to debunk scientific consensus about climate change, the US Chamber and the GOP should pay heed to serving the American people. Carl Gibson, lead organizer of Shut the Chamber Campaign says, Congress focuses on dirty fossil fuels over clean energy alternatives because the US Chamber gets millions from oil companies to lobby Congress. The group is coming to Washington to express its discontent with prevention of creating more green jobs. And once again, we must ask the GOP controlled Congress, when are the jobs coming? This week as the National Voter Registration Act (“NVRA”) or more commonly known as the Motor Voter Law marks its 20th anniversary. For many, it’s difficult to remember when voter registration did not occur through motor vehicle office, public assistance, disability or armed forces recruiting office or by mailing in their voter application. These are just some of the ways that the NVRA has helped to register millions of person each year and to particularly bring low income persons in the process. Before the passing of the NVRA in 1993, voter registrations were lower in 1992 than in 1972. Many states barriers to registering voters—a Democratic right. The NVRA has greatly helped to making registering and changes registration information, simple and easier. Although the NVRA has successfully helped to register millions of eligible voters, voter registration rates are no as high as they could be. There is still work to be done and additional ways to increase voter registration. The GOP has fought efforts to increase voter registration in many states, as seen from the 2012 election. 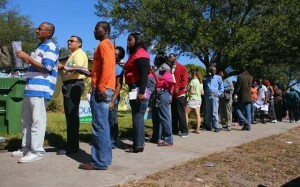 Many states have implemented same day registration which allows persons to register and vote on the same day. Other states have limited the time for registering before becoming eligible to vote. States that allow for same day voter registration and voting have consistently higher voter turnout. In the 2012 election, according to demos.org, four of the top five states for voter turnout had same day registration. The average turnout in same day registration states was over 10 percentage points higher than in other states, according to demos.org. Currently, as of this writing, Maine, Minnesota, Wisconsin, California, Connecticut, Idaho, Iowa, Montana, New Hampshire, North Carolina, Wyoming, the District of Columbia, Maryland and Colorado now have same day voter registration. Modernizing the voter process and allowing national same day voter registration for federal elections should be the next step. Specific communities with lower voter registration rates should be identified with voter registration outreach. A few recommended ones are expanding the NVRA into the Affordable Care Act Health Benefit Exchanges, U.S. 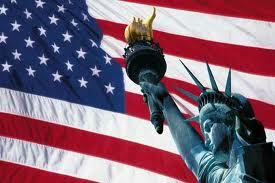 Citizenship and Immigration Services and Indian Health Services for Native Americans. The 20th anniversary of the NVRA is just a reminder that the fight is not over yet to overcome barriers to voter registration. Making voter registration easier is still a fight that is ongoing. And by the efforts of the GOP, it will be a fight that continues into the future. Monday, May 20th marks the 20th anniversary of the National Voter Registration Act (NVRA or “Motor Voter”). The bill was signed into law by President Bill Clinton on May 20, 1993. It allowed Department of Motor Vehicles to register persons to vote at the same time that they came to renew or obtain a new driver’s license. The law also allowed voter registration at other public agencies such as for persons obtaining disability services, food stamps and other social services to reach out to a greater segment of the population. The law has been essential in increasing voter registration opportunities and standardizing the process of removing voters from the registration list. Thanks to the NVRA, millions of Americans have been able to register to vote through the Department of Motor Vehicles and other public agencies. The Motor Voter laws were designed to streamline the process of obtaining a driver’s license along with registering to vote. Motor Vehicle offices were able to accomplish a dual purpose. These laws are just one of the many ways to make it easier to register to vote. With many Republican lawmakers’ attempts to disenfranchise voters and make it more difficult to vote, it is time to celebrate this historic moment in voting rights. Making the vote easier to access is the fundamental premise behind the Democracy that we fight for here and in other countries. We can still do better in terms of making voter registration easier to accomplish for Americans. The Voter Empowerment Act re-introduced in 2013 would allow for online registration and registration to students at all college and university campuses that receive federal aid. Currently, the State of Washington allows for online voter registration. We also need to make federal voter registration easier for those who are elderly, disabled and unable to register in person. Twenty years ago, the National Voter Registration Act was one step in the right direction to increase options for Americans to register to vote. But, we can and must do much better to ensure access to voter registration. In less than one month, the second degree murder trial of George Zimmerman is scheduled to begin on June 10. And already the city of Sanford, Florida is expecting huge crowds on both sides of the case—those in support of George Zimmerman and those who support Trayvon Martin. It is being seen as a case of huge race and class proportions based on what transpired or did not happen on the night of the murder. If George Zimmerman had been arrested on the night of the murder of Trayvon Martin, this case would more than likely have generated very little publicity. It would be a murder trial of the killing of a 17 year old by a neighborhood watch person. 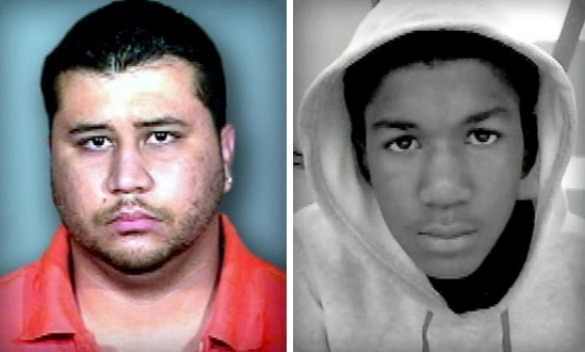 By allowing George Zimmerman to remain free until April 11, 2012 following the February 26th murder of Trayvon Martin, this trial now has huge racial overtones. In those 44 days, a public outcry occurred in the mainstream media and online due to the killing of Trayvon Martin, a young black male, who was walking in a gated community with a bag of Skittles and an iced tea, en route to the residence of his father’s fiancé. Without the large lapse of time before the arrest, there would not be the sensational trial that is about to begin. So what we will now experience is a trial of national racial proportions, an O.J. Simpson case in reverse. And what should be on trial is a second degree murder of an unarmed 17 year old walking with a bag of Skittles and carrying iced tea, killed by a neighborhood watch person. The race and class implications would still exist, even if Zimmerman had been immediately arrested, related to the seemingly unwarranted suspicion created just by a young black male walking in a gated community. A lot of potential evidence has been leaked through the media. Yet, the trial has not begun and much of what has been leaked may never be presented to a jury. Only two people really know what happened on the night of the murder but only one is alive; And Zimmerman, the remaining living one, and his defense team will attempt to portray the victim, someone he never met before, as an aggressive teenager who was out to kill him, if he didn’t kill him first. Zimmerman will undoubtedly assert that he cried out for help fearing for his life before shooting Trayvon Martin in self-defense. The trial may have its share of side show issues in the way of school records, use of marijuana by the victim, school discipline issues, Facebook postings, character faults and virtues of the victim and defendant. Marijuana will be in evidence because it is contained in the autopsy report. And the State’s medical examiner will testify about his toxicological findings. Character of the victim will be on trial by the defense, if allowed by the judge. Of course, that’s a double edge sword that can also backfire with a jury. Even if Trayvon Martin was not a star student, had issues in school, had marijuana in his system at this death and had fights as a teenager, do these really have anything to do with why he was killed on February 26, 2012? State of mind of the defendant in asserting self -defense is an issue. 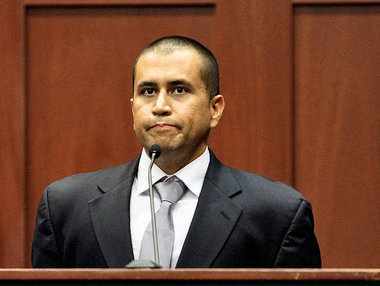 George Zimmerman asserts that he was fearful for his life and that Trayvon attempted to reach for Zimmerman’s gun. That’s where the audio of someone’s voice heard screaming may come into play. Apparently, two state’s experts disagree on whose voice is heard on the audio tape. One concludes that it is Trayvon Martin’s voice. Another expert concludes that it is a combination of Trayvon and George Zimmerman’s voices. It will be interesting to see how this plays out in the hearings. The presiding judge must rule on whether any audio expert may testify. Scars on the back of the head of George Zimmerman indicate a fight occurred and that he was apparently either on the ground or struck in the head. No piece of evidence indicates if Trayvon Martin exhibited deadly force against Zimmerman. It is all circumstantial evidence. There is the direct testimony of Zimmerman, should he take the witness stand. If he takes the stand, the defendant’s character faults will be on display. Remember his credibility suffered a substantial blow when he decided to be less than truthful and honest surrounding his bail hearing and bail issues. His defense team knows they cannot rest on his testimony alone. There are a lot of what ifs in this case. However, what ifs do not constitute evidence. Except no matter how I try to objectively view the case as a defense attorney and former prosecutor, I am still left with several major what ifs. What if George Zimmerman had heeded the neighborhood watch patrol instructions to patrol the neighborhood without carrying a fire arm? And what if George Zimmerman had obeyed the 911 dispatcher’s advice and not have followed Trayvon Martin. What if George Zimmerman had not taken the law into his own hands instead of just reporting his suspicions to the police and awaiting the police officers’ arrival? What if George Zimmerman had been arrested on the night of the killing? We can’t turn back the hands of the clock with what ifs. We can only play it forward with a jury trial. The jury trial is set to begin on June 10. Post Script: Debbie Hines appeared on the Thom Hartmann show on May 29, 2013 to discuss the issues in the upcoming trial and issues.